We know finding the right place for you or your loved one can be difficult. Many have questions about assisted living, retirement homes, hospice and the options available today. Assisted living is a form of long-term senior care that assists with meals, medication management, bathing, dressing and transportation. How is care paid for at an assisted living facility? Medicare does not typically cover the costs of assisted living expenses. Many assisted living facilities are private pay institutions. Many residents use long-term care insurance reimbursements combined with any available veteran benefits to offset the costs of assisted living. Frequently and before admission, prospective residents are assessed by a trained, licensed staff member, taking into account the Virginia Universal Assessment Inventory (UAI) and discussions with your loved one and family members. A physical examination and record of tuberculosis (TB) screening or chest X-ray within 30 days of the date of admission are also required. Many facilities have an admissions coordinator that handles all of the necessary medical documentation so you can focus on your loved one. Are other medical services offered? Yes, as a convenience to our seniors and elders, primary care, dentistry, podiatry and rehabilitation services such as therapy services are regularly offered onsite by visiting medical professionals. Additional medical services such as nutritional services, wound care, diabetes care, IV therapy, or home and hospice care are coordinated through our medical team to meet each resident’s individual health needs. These services are often paid by Medicare. Can a resident be admitted from home? 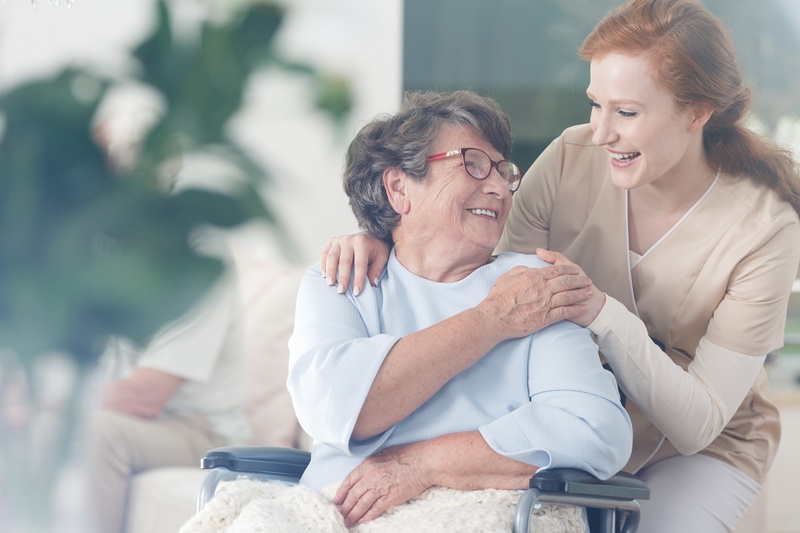 Yes, when a loved one no longer wants the responsibility of maintaining a household and may need additional help with daily routines, some families seek the safety and convenience of an assisted living community. The decision to move to assisted living can be difficult. Many facilities will work with families and loved ones to meet their timelines and ensure a seamless and smooth transition from their previous home. My mom is in a rehab center, and it’s not safe for her to go back home. What do I do? Many facilities offer assisted living and respite care for those who may need assistance with activities of daily living. Their staff should regularly work with area rehabilitation facilities and physicians to help transition those who need to continue their care for ongoing assistance. Many facilities have a dietary manager that can provide healthy and appealing daily menus including fresh and seasonal produce. Be on the lookout for facilities that partner with a local hospital. This can be a great way to ensure that special dietary needs are met.